Fighting crime with photoshop is indeed very effective and efficient. Cameras and digital imaging have become an integral part of our daily life and society. These cameras are easily carried in pockets, high-definition cameras easily built into mobile phones, and mounted in walls and cars. Because of the frequency of cameras in the surroundings, crime scenes are often captured in photos and videos. Photographing pieces of evidence in the crime scene is also a very important step during the investigation. However, these raw images or raw files still need to be processed or enhanced. The most common tool or software in enhancing these raw images is Adobe Photoshop. With the developments and advancements in our gadgets and devices, we can easily capture important events and scenes during crimes. And that is undeniably a very helpful thing when it comes to law enforcement. Nowadays, law enforcement agencies upped the game in the investigation so that the community can have easy access to free criminal records. Because of our access to modern technology, gadgets, and devices, various digital techniques have been used in the presentation of pieces of evidence to trial courts. In particular instances, digital techniques have allowed the criminal justice system and the court. This is to acquire more crucial and useful information from the evidence that would otherwise have been evident. Digital evidence has allowed faster progress in investigation and crime solving through the assistance of digital technology. These pieces of evidence include including image enhancement, forensic video analysis, audio enhancement, and the digital enhancement of fingerprints. As mentioned above, crimes can now be easily captured using handheld cameras, surveillance camera, or even dash cams. It is now common to see and replay videos and images of a criminal in action. They are also played in the news or even in social media. These pictures and videos can now be used as evidence to help in the investigation and sold crimes. However, most of the time we get blurred images. This is because they have poor lighting, captured from afar, or comes with details that are very hard to see. This is where Photoshop comes in, this software is indeed a powerful tool when used by trained law enforcement. It can greatly assist in proper identification and in acquiring crucial and useful information from photos and videos. Some of you may not know but Photoshop also has other functions other than digital image enhancement. Photoshop is also useful in various forensic science works. This includes document forensics, processing fingerprint images, and working with other kinds of digital pieces of evidence. Photographs, videos, and digital imaging are very significant to various law enforcement work. We cannot specify certain crimes where Photoshop can help since it can do well in all types of crime. Photoshop can work amazingly when it comes to photo analysis and enhancement. This also works well in separating important images from a complex background such as fingerprint images. In investigating crimes against children or abduction, it can be used in a different way. 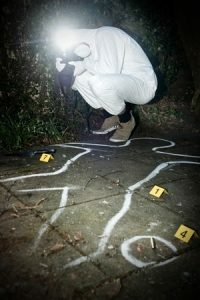 Each type of crime and each investigator will have different techniques they prefer to use when investigating a crime with the use of digital evidence. We all know that an image that will not need processing would be perfect, but it is not always possible. Photoshop, with the use of appropriate tools, can effectively enhance and clarify the contents and details in the images. Forensic Photoshop is a book by Jim Hoerricks and can greatly help forensic professionals. Every day, hundreds of thousands of images are captured for use in courtrooms and laboratories around the world. The employees of the agencies that must process these images are often placed in these high-pressure positions with inadequate training and a lack of resources. Because lives often depend on each image that we process, it is essential that every person employed in the process have a guide. A reliable guide that will help them make use of this complex program. A guide that will give them the results they desire in every aspect of image processing – as well as a thorough grounding in the legal/ethical considerations of the process for which they are involved. 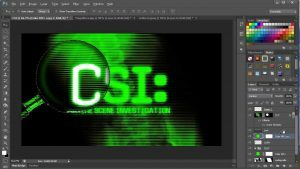 Photoshop is truly more than just an editing tool, it is a truly incredible and magnificent software with an awesome array of useful tools. While it was originally meant for graphic designs and editing photos, it can a lot more than that. It can not just enhance and improve photos, it can also help in providing clearer digital evidence. See? There’s almost nothing you can’t do with Photoshop. It might be a bit time consuming but if you want to create something beautiful and helpful, you could actually do it with Photoshop’s tools.